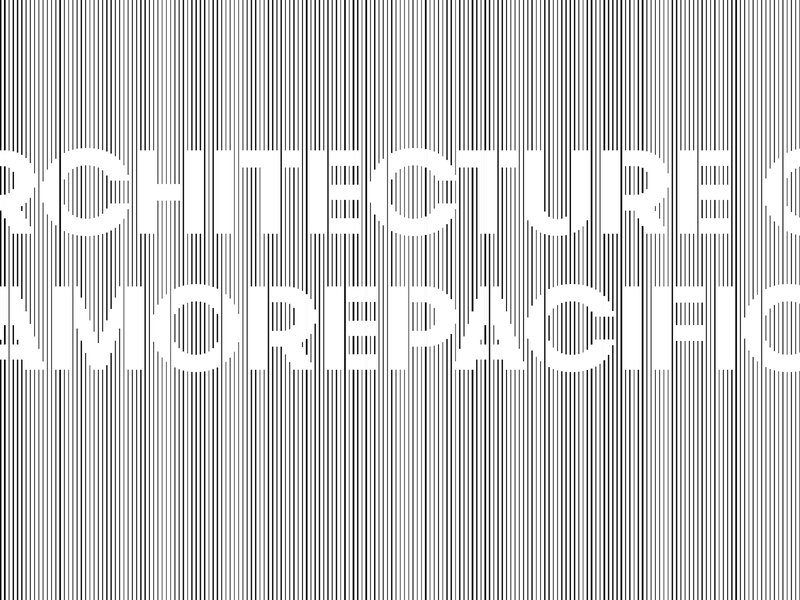 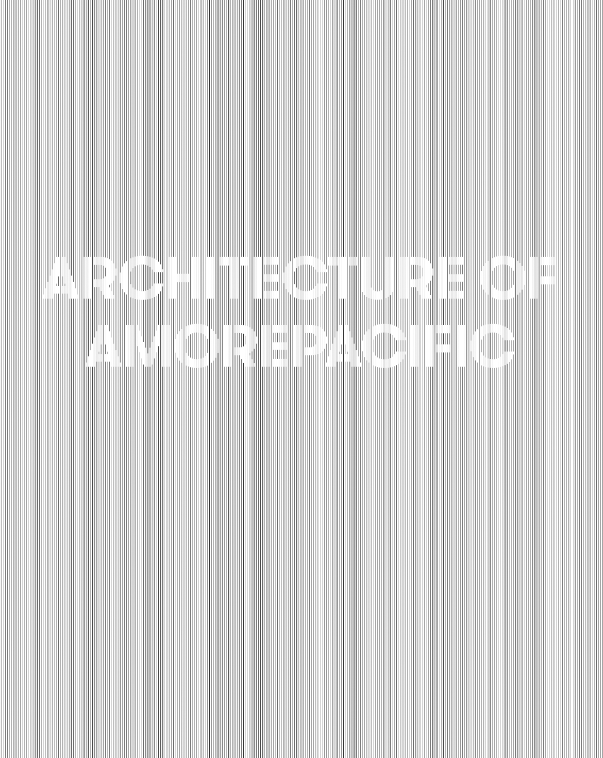 Pai Hyungmin, Architecture of Amorepacific (Seoul: Amorepacific, 2018). 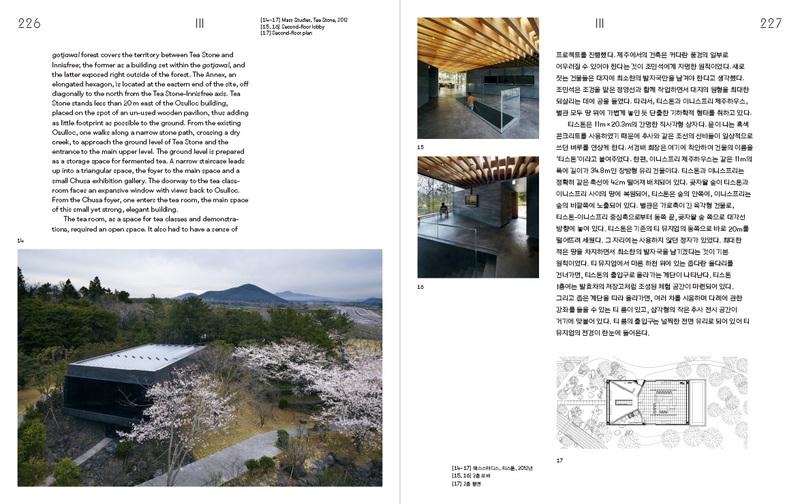 Offset printing, sewn hardback binding with dust jacket, page size 207 x 261 mm, 400 pp. 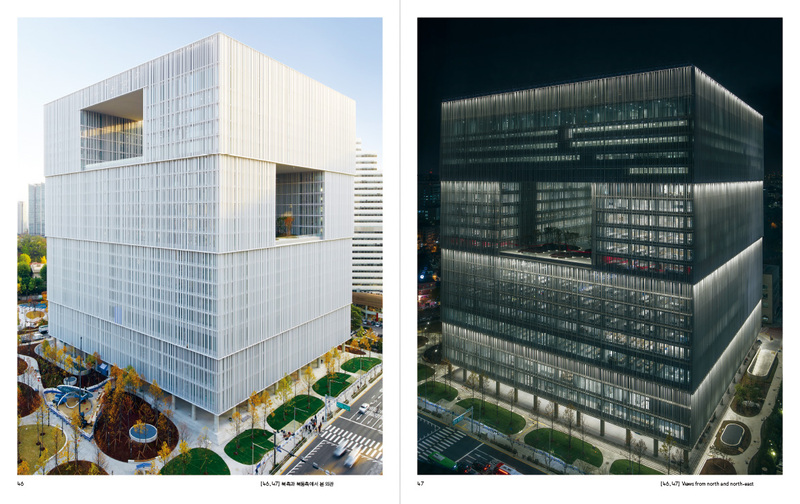 Published in conjunction with the opening of Amorepacific’s Yongsan headquarters, this book discusses the works done for the cosmetics company by some of the world’s leading architects: Álvro Siza, Neri & Hu, Kim Jong Kyu, Mass Studies, and David Chipperfield. 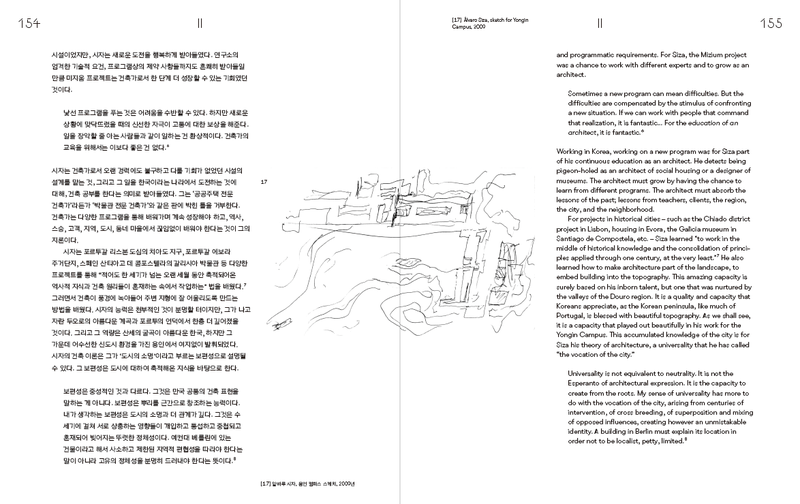 Overall, the design of the book strikes a balance between an academic publication and a coffee-table portfolio: in its handling of typographic details, arrangement of pictures, use of uncoated paper, and the modest, black-and-white dust jacket on a thick, hardback volume. 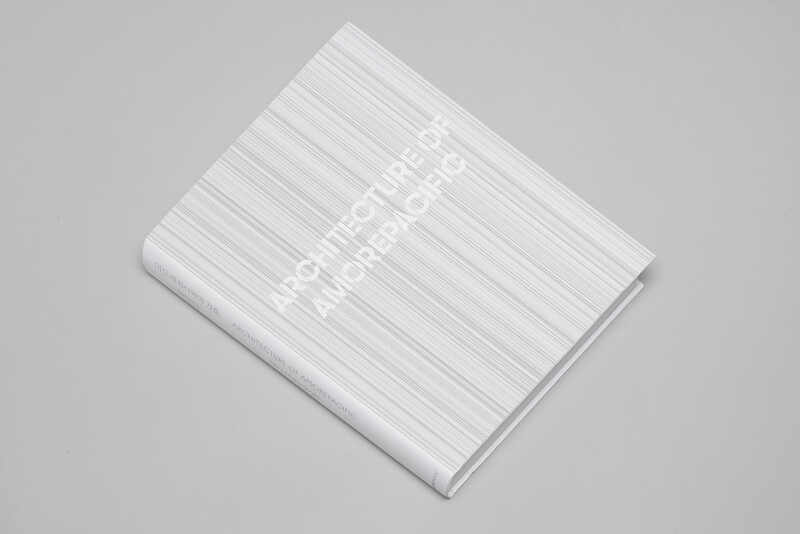 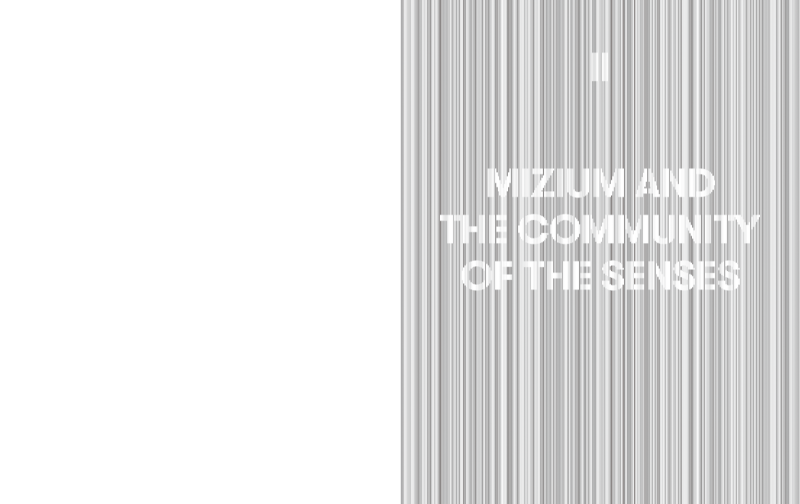 The random stripe patterns and the typographic treatment on the jacket and the chapter openings were inspired by the Chipperfield-designed headquarter’s fin-covered surfaces. 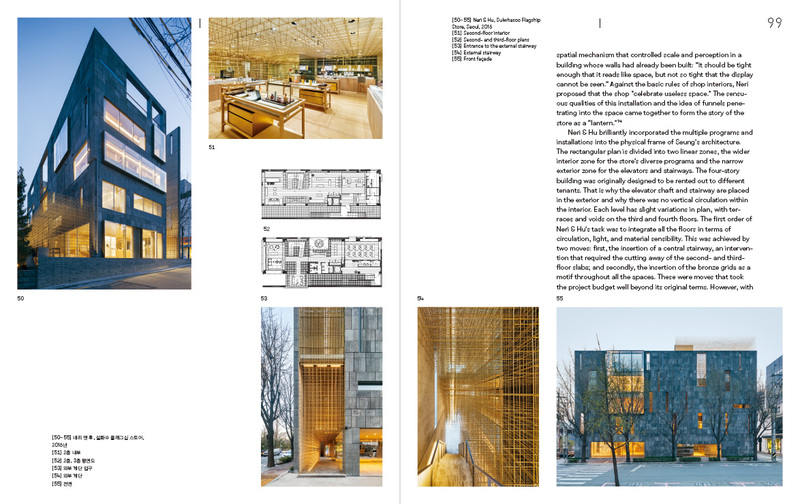 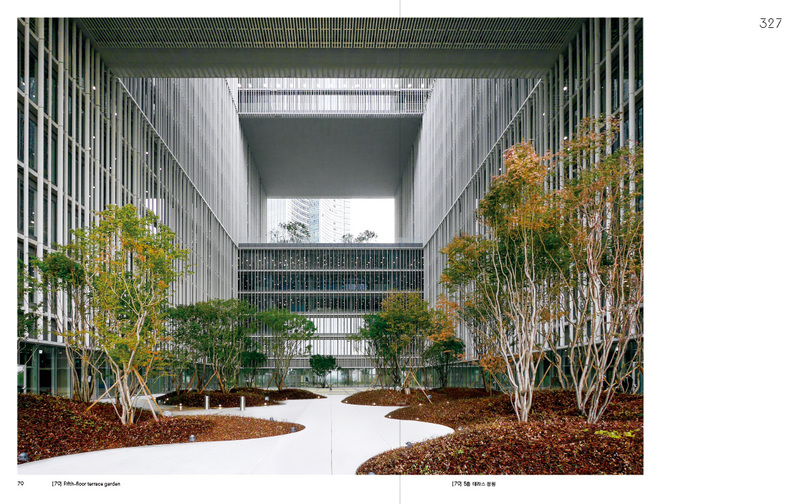 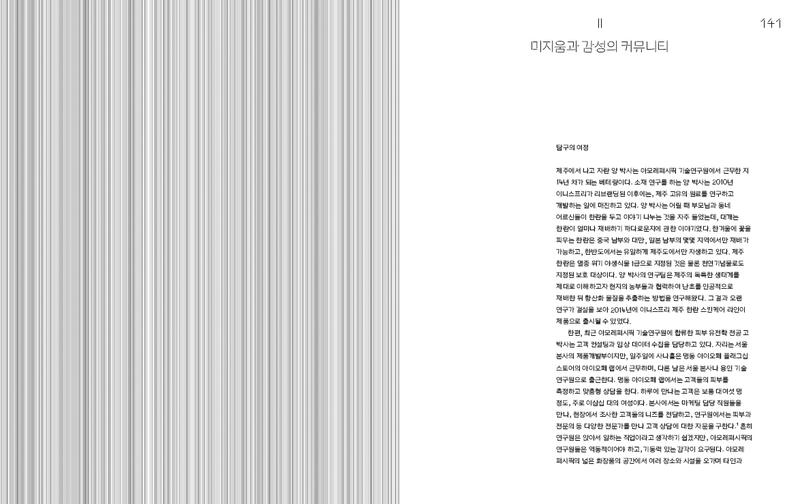 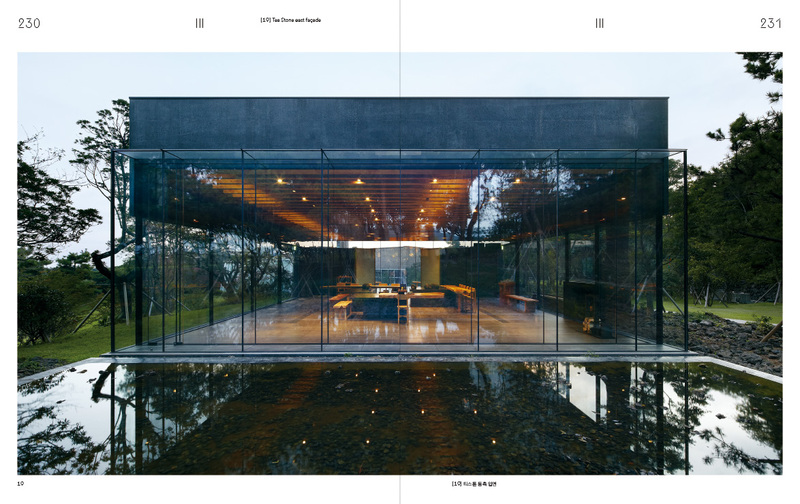 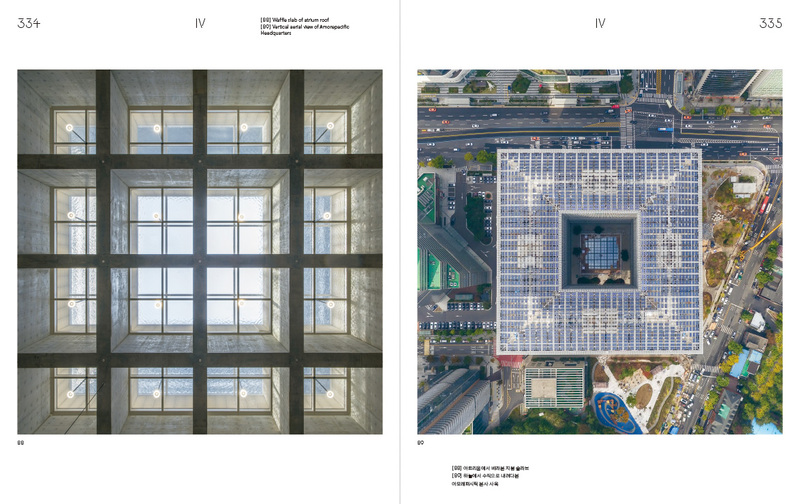 The square-like, symmetric structure of the building is also reflected by the page layout, which plays with symmetry not only on the double-spread pages (along the binding axis), but also with the English and Korean text blocks placed in a two-by-two rhythm so that each “leaf” bears either language on both sides.